John Mealing and Cornelius Wright, Jr.
Jerry Brown grew up in Lamar County, Alabama, son of Hattie May and Horace "Jug" Brown. The soil of this far northwest corner of the state is known for its rich veins of clay prized for pottery making. 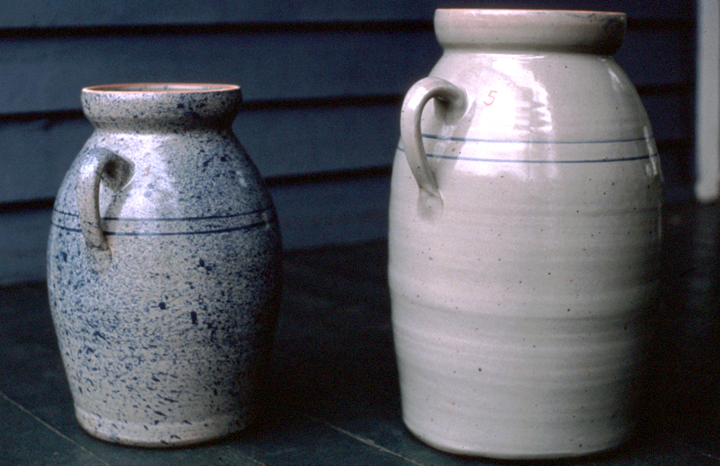 For many of the small, independent farmers in the area, pottery had long been a way of supplementing the fruits of their farmwork. 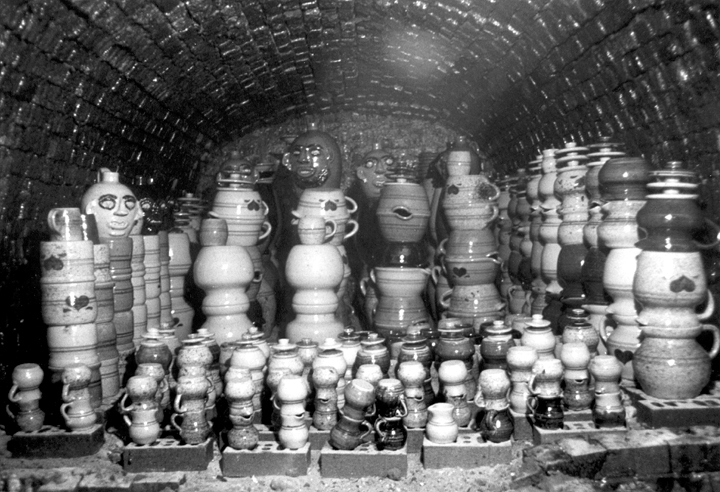 These potteries often were operated by descendants of potters who had brought their craft from Europe. 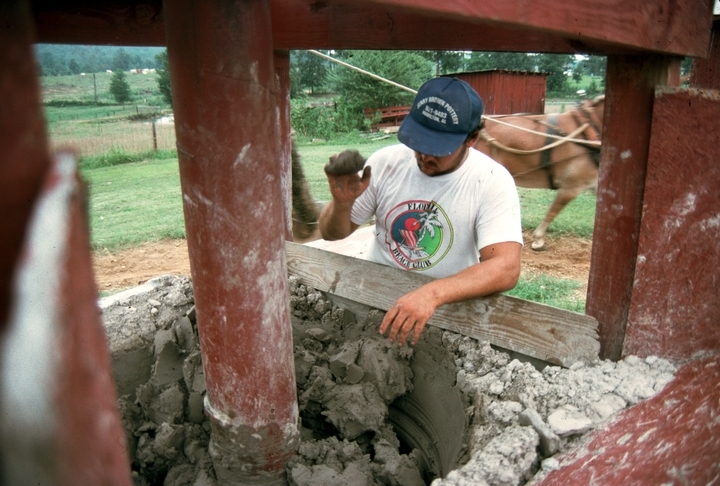 Typically the potter farmed the land during the warm months and made pottery in the winter, employing his family or hiring help from the community. 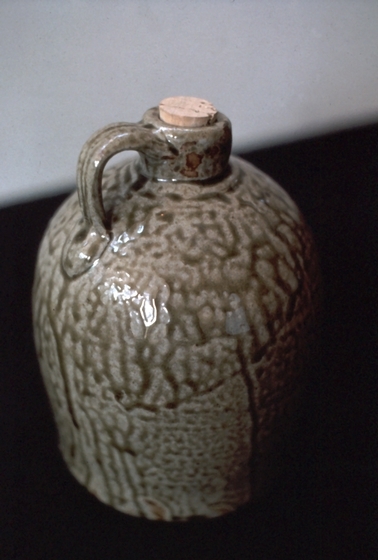 In the early 1930s, Jug Brown moved from Alabama to Georgia, where he married the daughter of a local potter. They had three children. 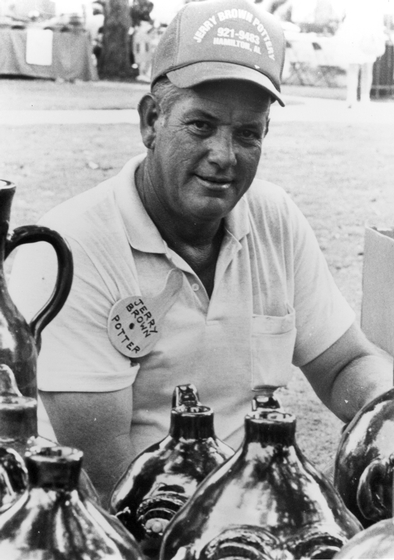 In 1941, he opened his own pottery shop, and the entire family worked there. 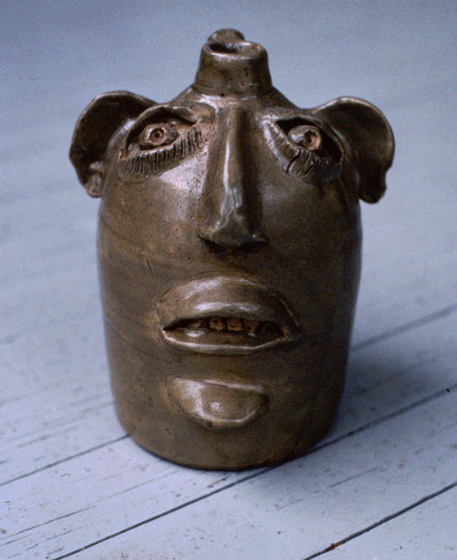 About his childhood, Jerry says, "My brother [Jack] and I were making small pieces back before we started first grade." 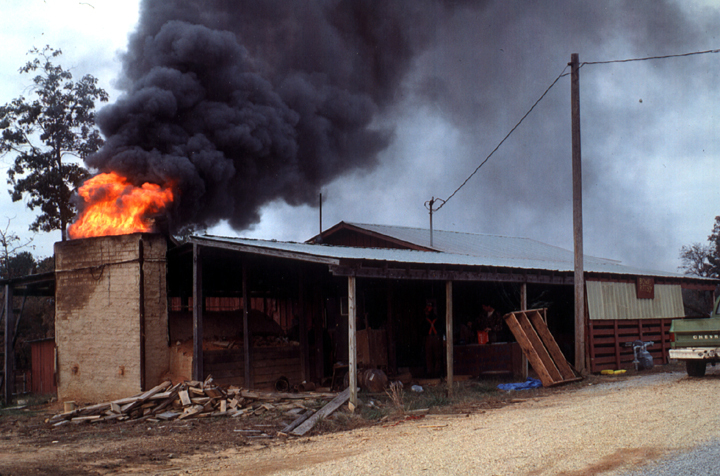 When Jerry was young, he and his brother watched their father make pottery in his shop near Sulligent, Alabama. They were expected to learn the trade, like their father and the seven generations of family potters who had preceded them. 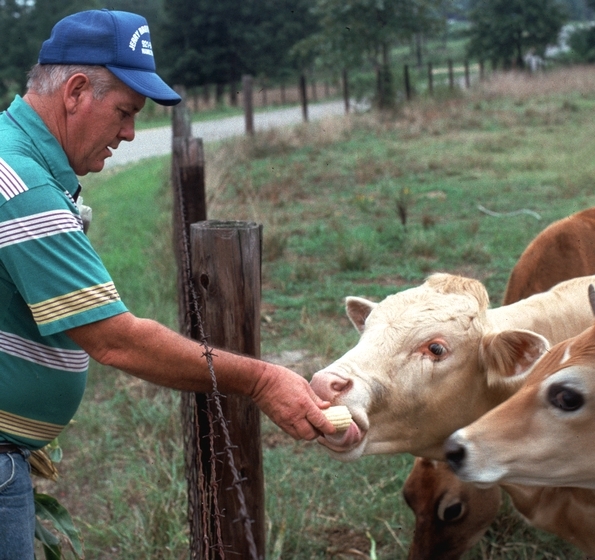 When Jerry was 22, his father turned the business over to him and his brother. Then tragedy struck: Jack was killed in an automobile accident, and soon after, the family's pottery equipment was stolen. 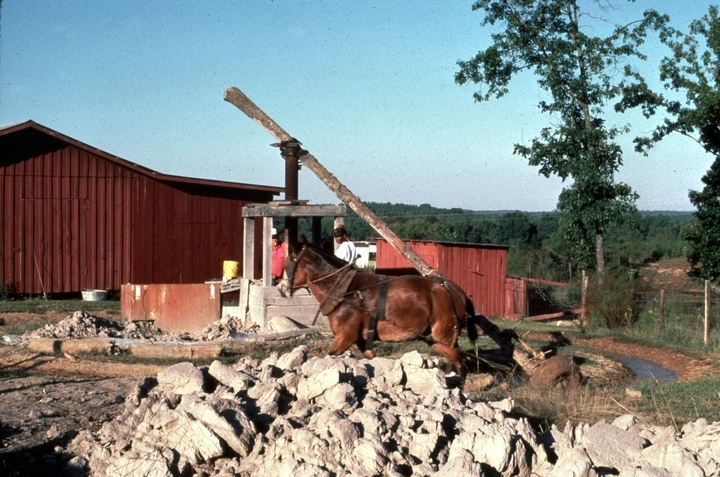 Jerry gave up pottery for twenty years and worked as a logger in the pulpwood industry. After his first marriage failed, Brown began to reassess his career goals. 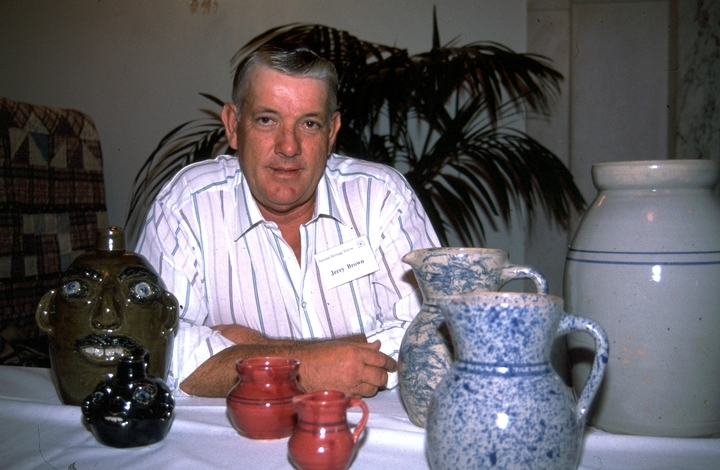 In 1979, he remarried and started to think about opening a new pottery business of his own. He built a contemporary ranch house on seventeen acres near Hamilton, Alabama, for his new family, which included his wife, Sandra, and her two children. 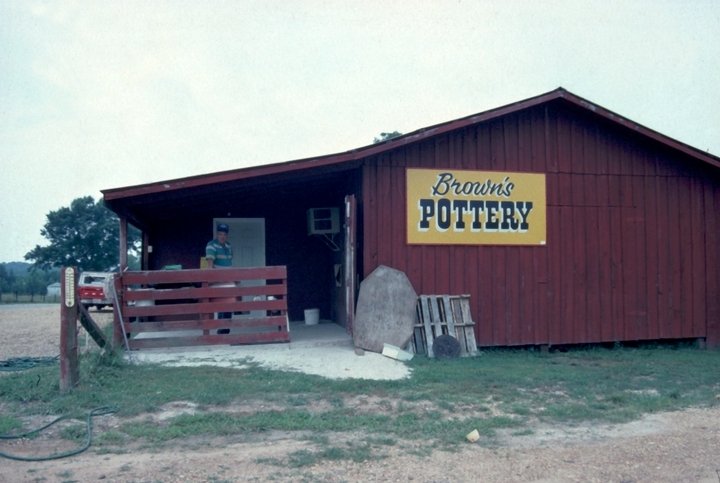 During a slack time in the logging business in 1981, Brown finalized his plans to build a pottery shop. 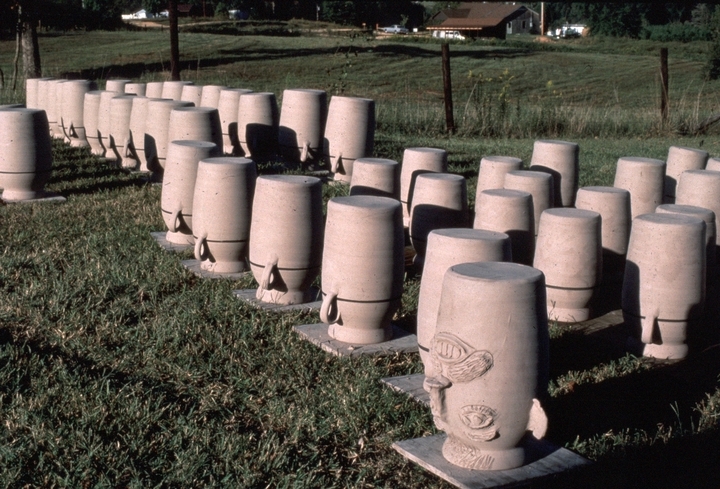 Using his memory of what his father had taught him, and with help from an uncle, Gerald Stewart, Brown put together the elements needed for making pottery. 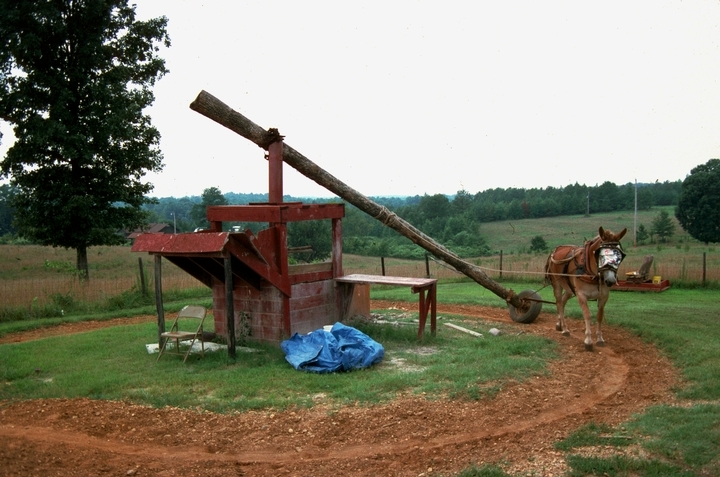 His work area includes a building for turning vessels and drying greenware, a mule-drawn mill for mixing newly dug clay, a display room for keeping finished ware and a brick groundhog kiln for firing his pieces. 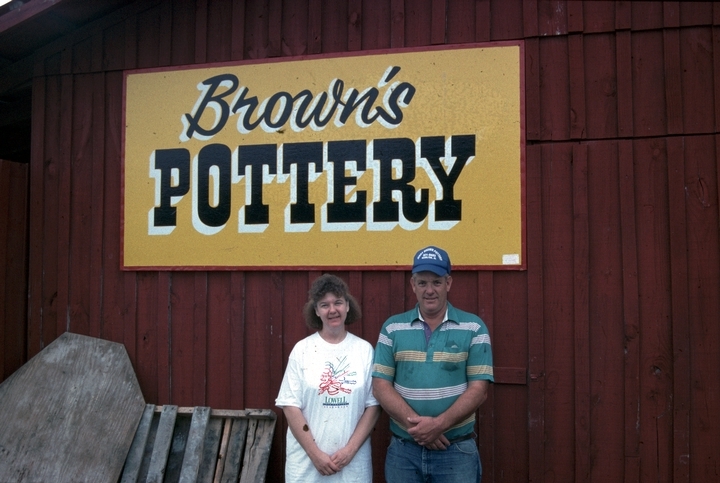 When Brown finished his first batch of pottery, Sandra loaded the pieces into her truck and drove off to sell them. Gradually, they built a customer base, people who liked to come to the shop to buy his pottery. 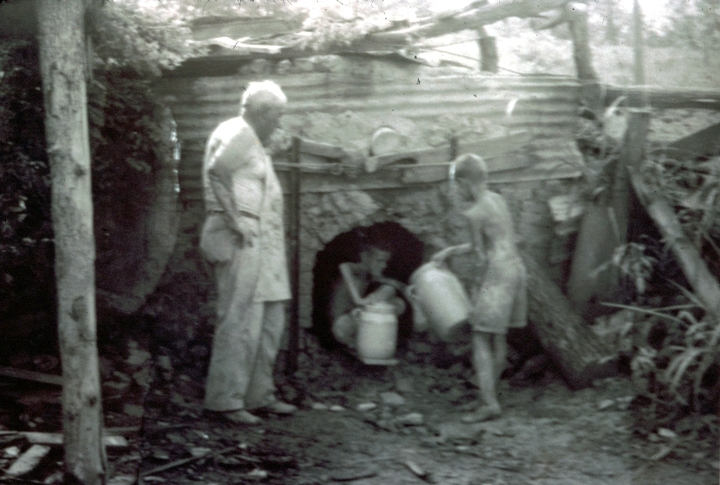 And for the next several years, pottery became a part-time occupation, a way to supplement Brown's income from logging and a means to carry on the tradition he had learned from his father. 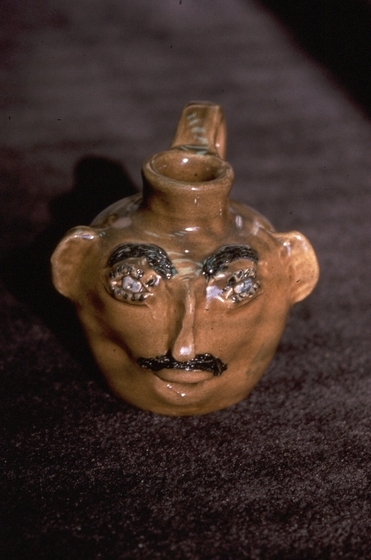 In the 1980s, public interest in traditional arts and crafts prompted the Montgomery Museum of Art to sponsor a survey of the folk pottery tradition in Alabama. 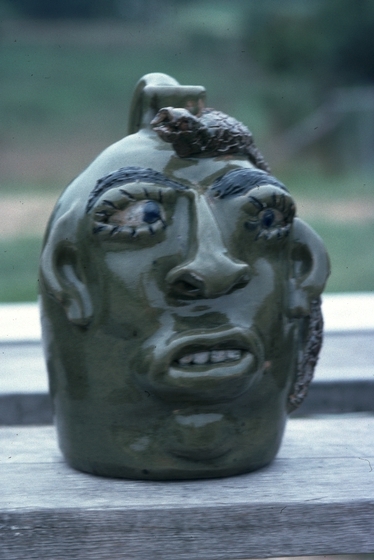 From this survey, museum curators were able to organize an exhibition featuring Brown and other potters from northwestern Alabama. The exhibition was highly successful and helped to broaden the market for Brown's work. 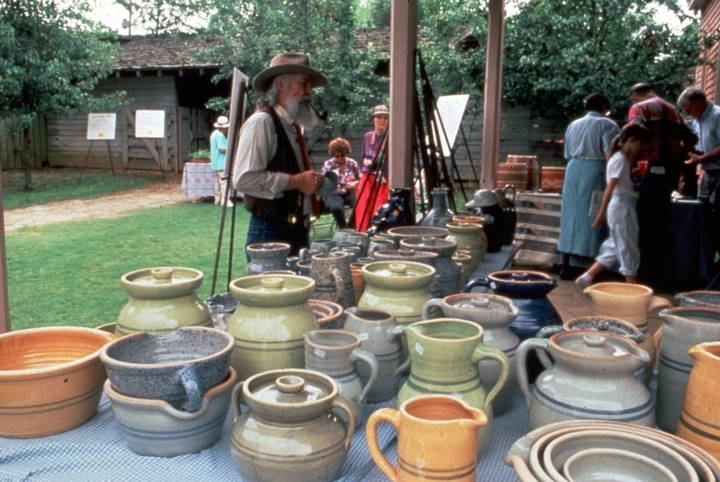 In time he was able to retire from logging and devote himself full-time to making pottery. Brown is committed to perpetuating his traditional craft. He uses commercial glazes, which were adopted by most Southern potters in the late nineteenth century, but continues to use old glazes as well (Albany slip, Bristol, ash) and produces traditional shapes, including churns, crocks, pitchers and bowls. He and his wife, also a potter, haven't been afraid to experiment. According to his website, , "Perhaps the area of greatest experimentation came with the use of cobalt. 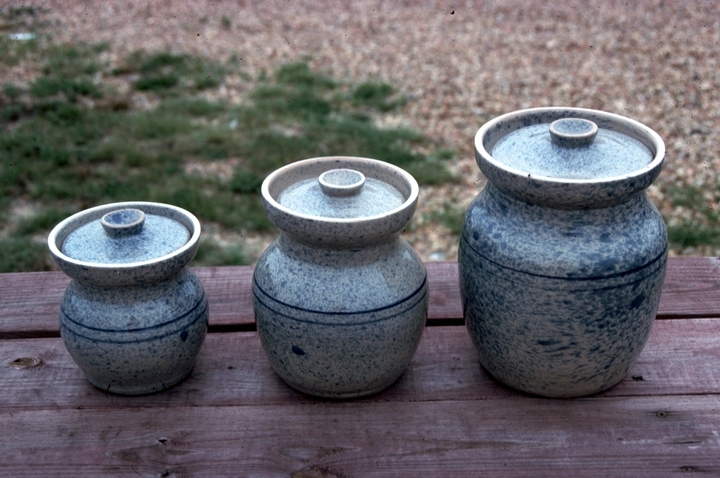 At first, the Browns used cobalt to make a simple ring decoration around their churns. Later, they mixed cobalt with a Bristol slip to make a solid blue glaze. After that, they tried applying the cobalt randomly in a "splatter" glaze or by 'feathering' it with a chicken feather." 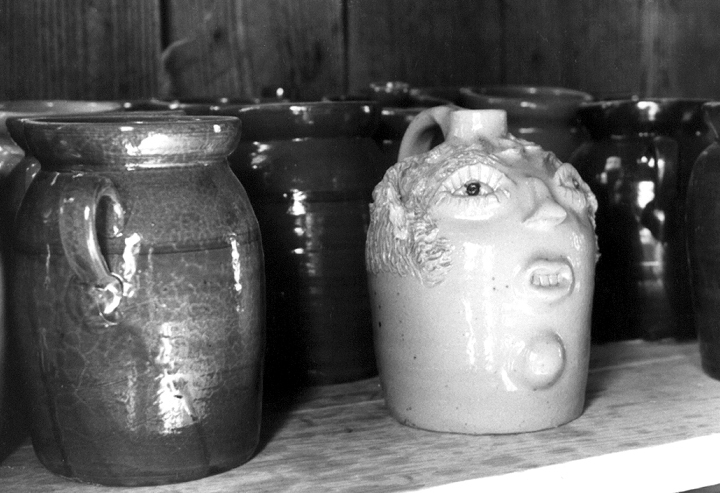 Perhaps most easily recognized are his face jugs, which the Browns have been making at least since the beginning of the twentieth century. In 2003, he was the recipient of the Alabama Folk Heritage Award. 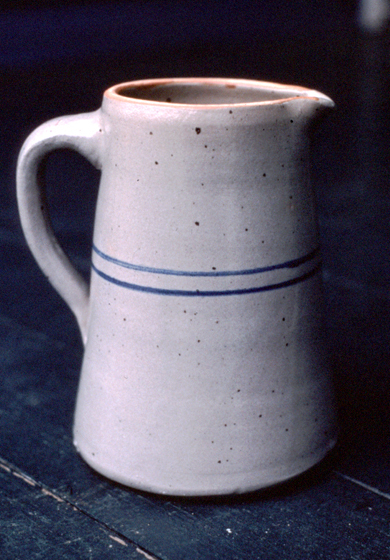 The face jug has been a traditional, though non-utilitarian, part of the Brown family repertoire. 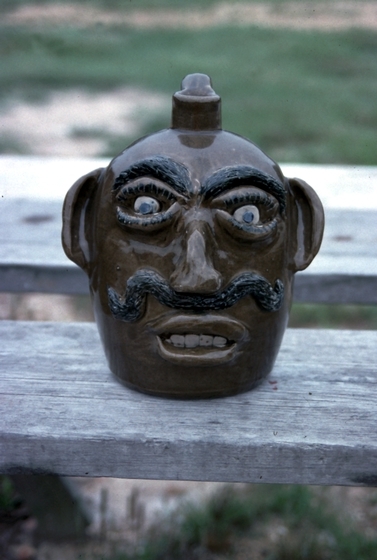 Brown, however, makes many more face jugs than his ancestors did. In the past, they were rarely made because they were time-consuming, not functional, and did not earn money. 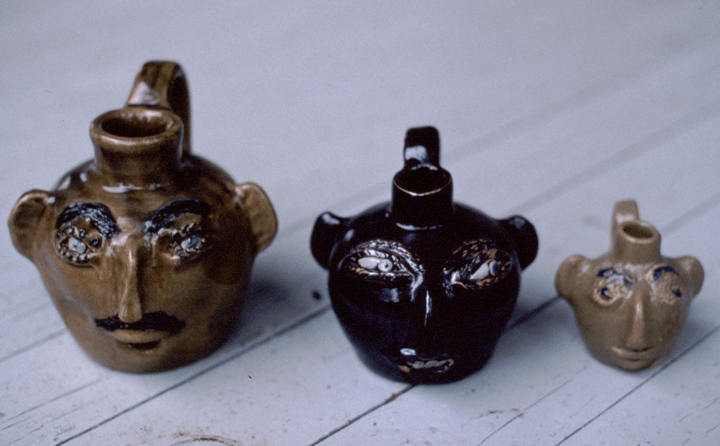 Brown's face jugs have a decorative and humorously grotesque character. 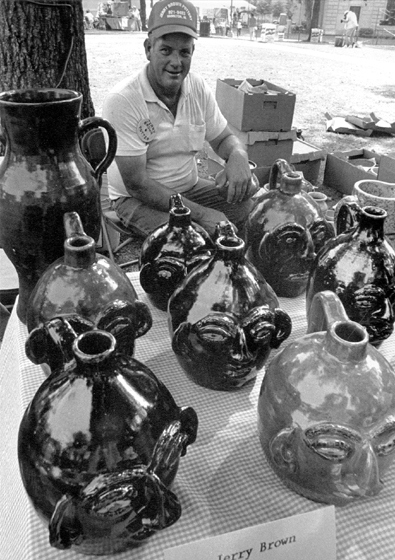 Perhaps because of their relationship to the valuable antique "collectibles," Brown sells as many face jugs as he can make. 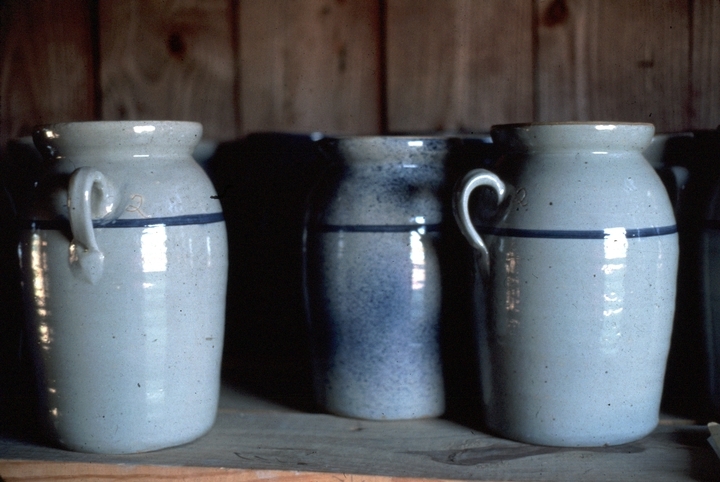 Unbroken Tradition: Jerry Brown Pottery. 16mm, videotape, color, 28 minutes. Directed by Herb E. Smith. Whitesburg, Kentucky: Appalshop Films, 1989.